My daughter's bow collection has grown a bit out of control over the last few years and she needed a new way to store them and keep things a little more organized. I didn't really want to spend much on this project so I turned my garage and some leftover ribbon for inspiration. This is so easy to do and has worked great for us so far! 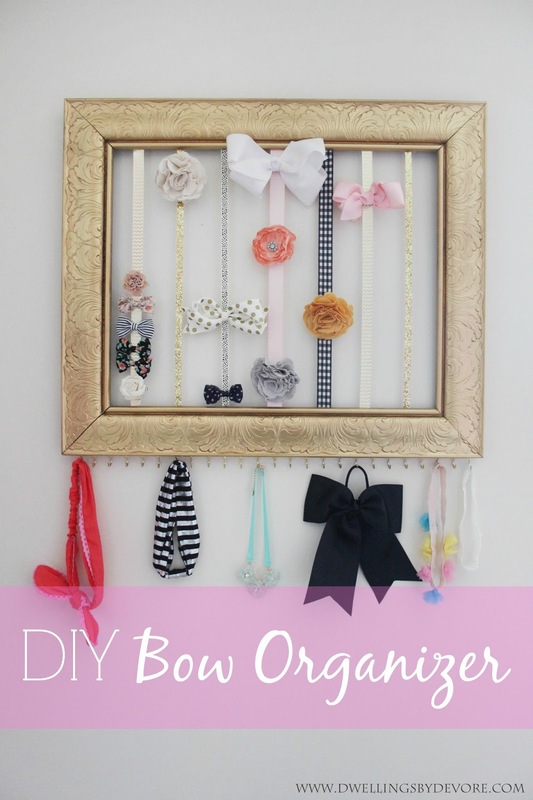 You'll basically just need some ribbon, cup hooks, a frame, and a hot glue gun. 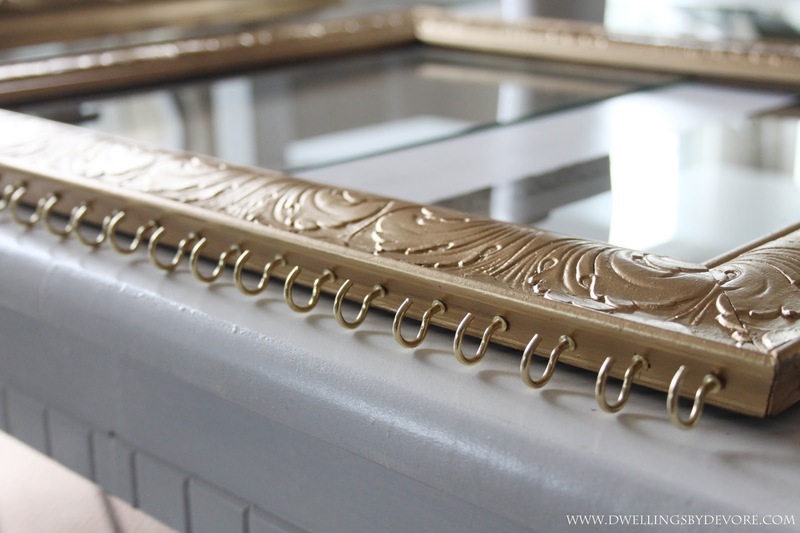 I keep a stash of frames in my garage for projects just like this one. 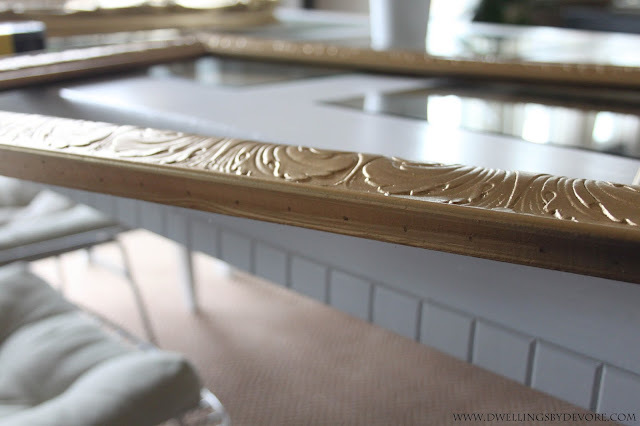 To start, I spray painted the frame gold. Then I drilled holes all along the bottom edge about one inch apart. After the holes are drilled, gently screw in the cup hooks. 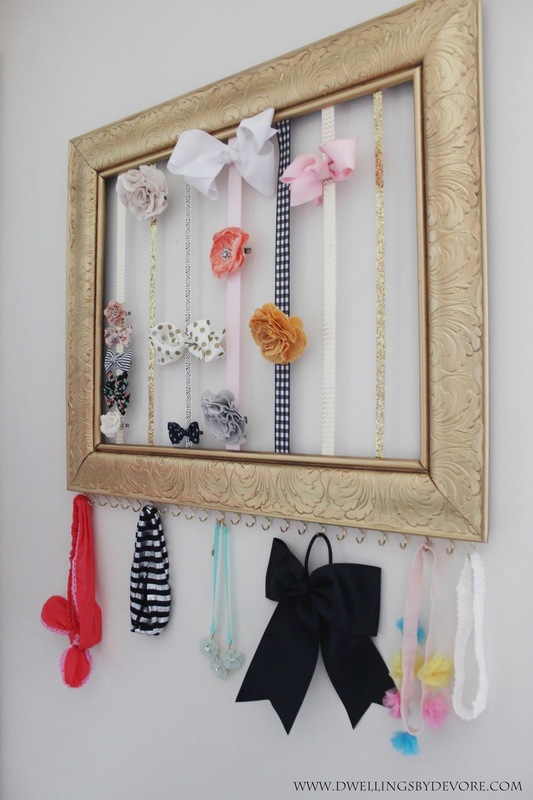 These hooks work great for headbands, necklaces, and belts. 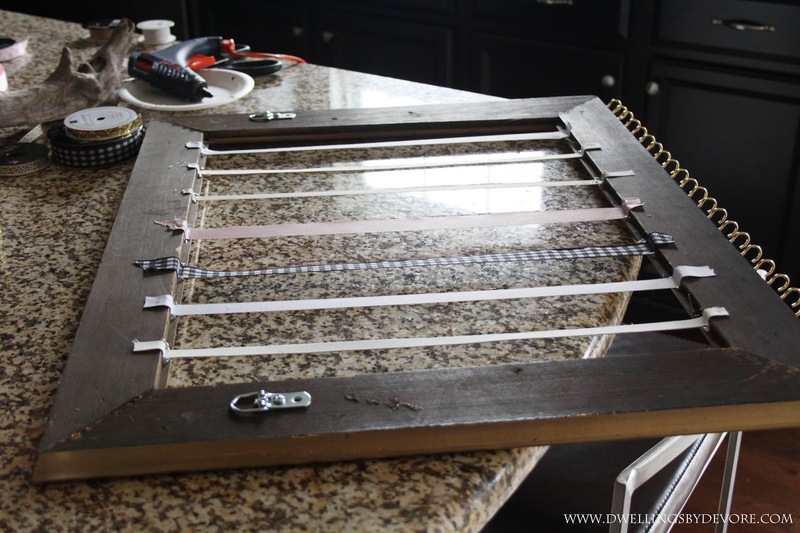 After your hooks are attached, flip the frame over and attach the ribbons. I used a little hot glue to secure the ribbons to the frame on each end. You could also try using a staple gun for this, but I couldn't get the staples to go into this particular frame. Flip it over and start organizing! Somehow we've already managed to fill the bow portion completely up! I think this would make a great baby shower gift or even a birthday gift for a little girl. 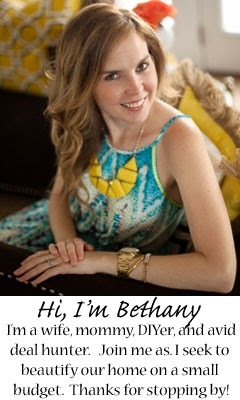 It's so easy to make and personalize too!